When I visited Writtle College last Friday to see the Victory Bouquets for the London Olympics 2012 being made by the students, I also had the pleasure of meeting Gary Wallis. 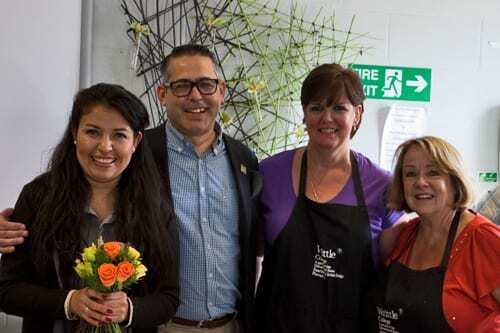 Gary, Jane’s husband, is the Co-Founder & CEO of Jane Packer Ltd. He’s pictured above with Diana, a florist at Jane Packer and two of the college students. I asked Gary about the whole process which his company went through, from their initial tender to now being responsible for making the bouquets. 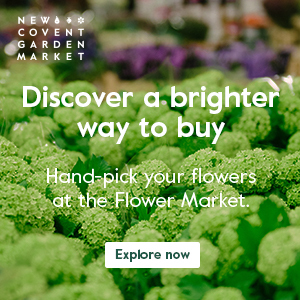 He explained that back in December 2010, LOCOG (The London Organising Committee of the Olympic and Paralympic Games) launched a search for a provider to design and deliver floral bouquets and arrangements for the London 2012 Games. Interested florists had to apply for a tender process via the the business opportunities portal, CompeteFor, by 21st January 2011. During the application process, Gary said: ‘We needed to complete a PQQ (Pre-Qualifying Questionnaire) where we were asked to give various details including the history and size of our company, our purchasing policies, plus health & safety policies. We were lucky to be shortlisted and then were asked to give examples of our work, together with details of references. The next round involved coming up with four potential designs and costings for the Victory Bouquet. Then we submitted another three designs which had a much tighter brief. The final design was agreed upon. And we were delighted to be awarded the bid in August 2011. During the process, we’d been speaking to UK growers about growing the flowers, herbs and wheat here, as everything had to be British-grown. Jane was involved from the very start and was always there giving advice to Susan Lapworth, our Creative Director. And it was Susan who designed the final bouquet. 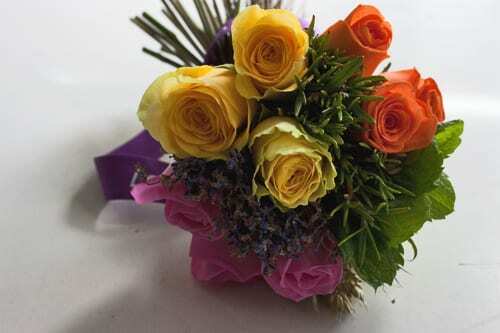 From August 2011 onwards we spent time finalising the details about which particular varieties of roses to grow for the bouquet and also put in place a back-up plan in case there were problems with the flowers. As a Plan B, we had to make sure that we could also source the final rose choices from Holland, if our British-grown roses didn’t perform. Initially, we’d chosen ‘Green Tea’ as our green rose, but we weren’t 100% sure that we’d be able to source it from a Dutch grower if there were problems with our British roses, so we chose the ‘Wimbledon’ rose instead. One of the biggest challenges was that we had to keep everything really secret and couldn’t discuss that we were going through the process with anyone. I asked Gary about the logistics that they have in place. He said: ‘All the roses, which are supplied by Chessum Roses, are being grown in greenhouses owned by Landgard in Bosham in Chichester. There, the mint and rosemary is also being grown. 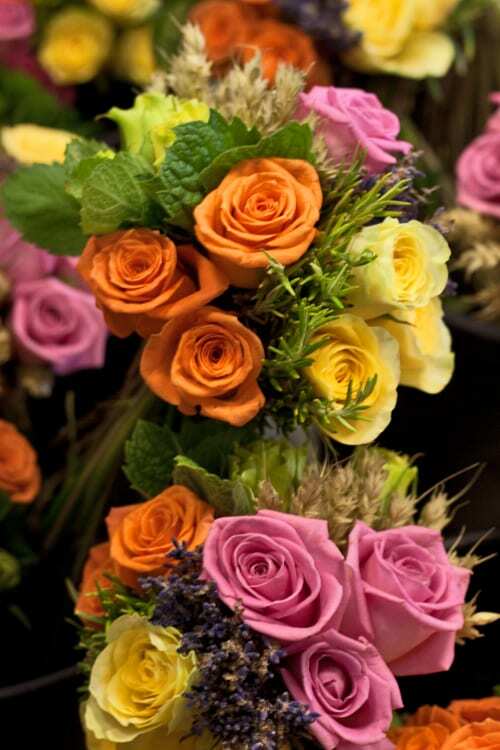 Once the roses have been cut, they’re taken with the mint and rosemary plants to a distribution centre in Hook, where all the components for the bouquets are being collated. The lavender comes from Long Barn in Hampshire and the wheat comes from Shropshire Petals. Everything is quality checked at Hook by a member of the Jane Packer team before being sent out to the three colleges who are making the bouquets…Writtle College, Adult Education College Bexley and Kingston Maurward College. We’re delighted to have involved all the students and colleges. They, along with our own staff and suppliers, have really enjoyed the whole experience. It was such a pleasure to meet Gary and hear the story behind how his company, Jane Packer Ltd, is now creating all the Victory Bouquets for the Olympics here in the UK. 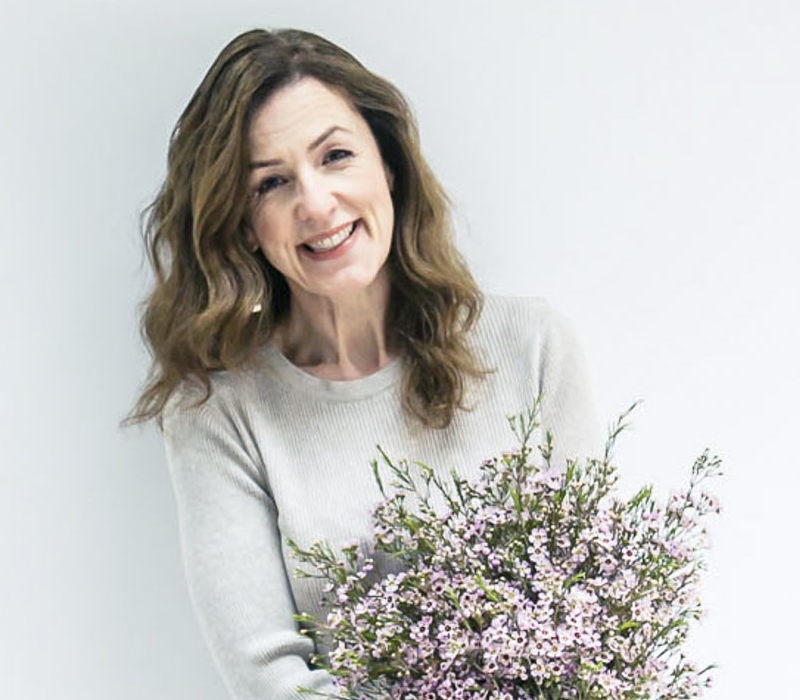 Later today, I’ll be sharing with you how I made my own bouquet at Writtle College which would be given to one of the medal winners the next day. I also made several at Writtle and also met Gary & Rona. We were all very proud to have been chosen to make the olympic bouquets and we enjoyed every minute of it. We were floral team GB!! Many thanks for your lovely comment Isabella. Love your new name :-).